How is a Tarot reading? If you have decided to take advantage of the benefits of a Tarot reading, you have given the most important step. Now, you have to choose where to go and simply go to a Tarot cabinet where magic happens. A reading of the Tarot can be a bright experience that helps you in taking better decisions in your life. It is probable that you can imagine a cabinet as a dark space, with incense smell and with candles as the only light in it. This is simply the stereotype, as tarot cabinet can be a very warm office, a place to relax close to a window or even to be in an open space. All what matters is that the climate that surrounds it is clam and quiet, so it allows a better reading of the cards without any kind of interruption. 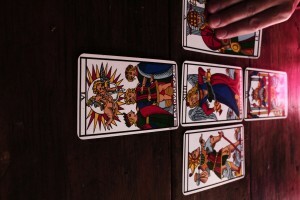 How the professional Tarot readers? A lot of people feel distrust when they have to trust their personal issues to a person that they do not know and, because of this, it is important to go to someone of trust. It can be through a recommendation or through reading positive comments about a Tarot cabinet. A good Tarot reader will make you feel comfortable and he or she will understand your worries. You will not need a lot of words to explain him, or her, what you are worried about. This person will not deny the possibility to evacuate all your questions by asking to the cards. Also, this person is not there to judge you and offer persona opinions, but to help you in understanding better your surroundings.